Mobile Age – Addressing loneliness and social isolation amongst older adults in Kendal and beyond. 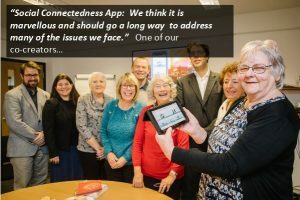 Kendal Town Council has teamed up with Lancaster University who have developed an app which aims to alleviate some of the issues encountered by older people in terms of loneliness and social isolation. Residents aged 65+ years account for 25.5% of the South Lakeland’s population; the highest proportion in the country and well above the national average (17%). 32,000 older adults live alone and there has been a 36% rise in the number of over 85s. 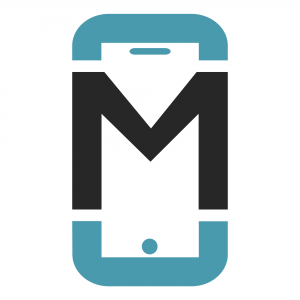 Mobile Age is an easy to use “one-stop shop” mobile application (or app)which provides the user with information regarding local events, services and volunteering opportunities. It has been co-created with older adults so its function has been designed around what people are actually looking for and in a format that meets with their technological abilities. The idea is that through being able to access this information the user can help themselves to stay physically fit and mentally active. Having all this information in one place reduces the stress and cognitive strain on the user, making it much more likely that they will engage with local events. You can download the Mobile Age App either from the Apple App Store or Google Play store depending on the device you use. If using an I phone, search for Mobile Age in the App Store. If using an android phone, use the Google Play Store or follow this link. What if you don’t have access to a device that can run the application? If you don’t have access to a smart phone or tablet but still want to take advantage of Mobile Age why not ask friends and family members to download the application. They can then use it to keep you informed as to local events and opportunities. This is also a great way to help people who may be some distance from their loved ones to feel reassured that they are keeping physically and mentally active. We hope to have Mobile Age available in public places very shortly so everyone, regardless of where they are can take advantage of this invaluable resource.